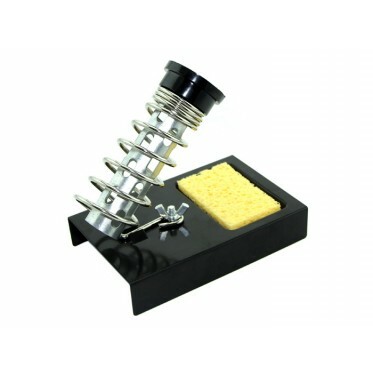 Description: This is a simple soldering iron stand composed of a heavy-duty metal base and a reinforced spring holder. The base and holder are detachable. 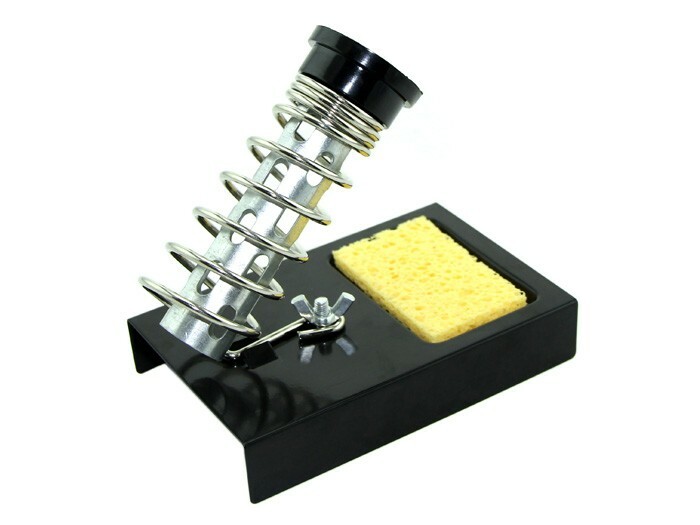 A circular cleaning sponge, which has a nice home at the bottom of the base, is included. 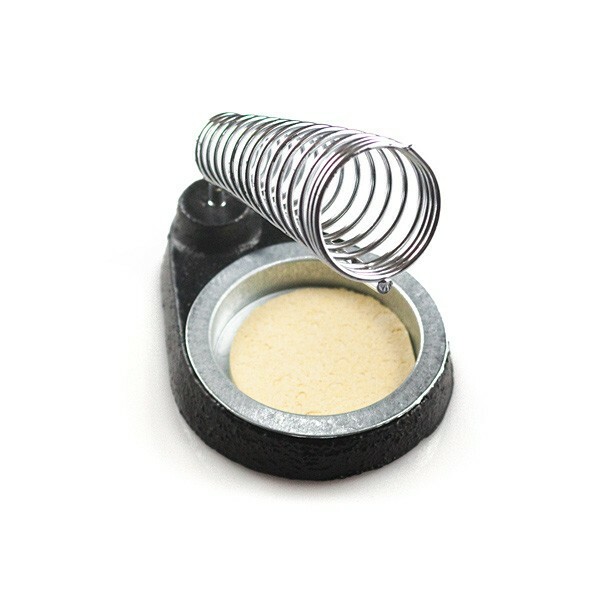 This holder should fit most soldering irons, and it's a great way to keep the 'fire-starter' handy and off your floor.